Pigeons are everywhere in New York City, where I live. 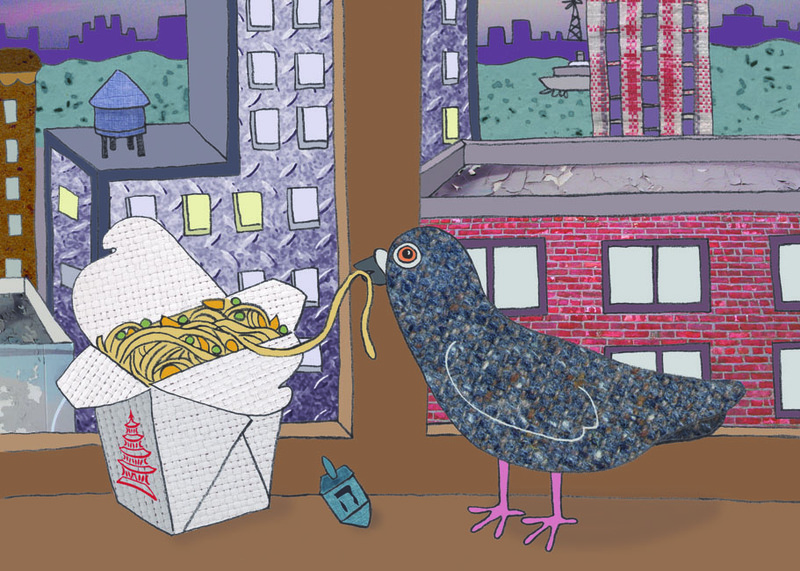 Even though I am not a big pigeon fan I came up with this slightly sarcastic and always hungry character to represent my hometown. 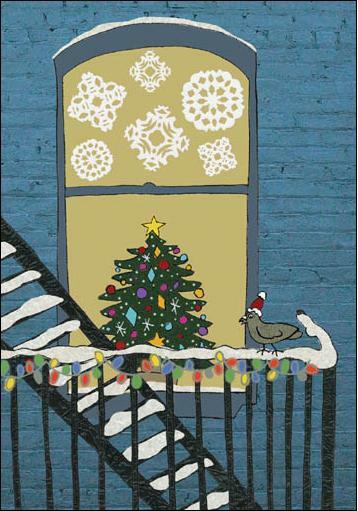 Percival has been featured on many of my Christmas greeting cards, as well as my first Hannukah design for 2012. He loves both holidays as much as he loves gobbling up delicious crumbs of food from the city’s numerous gourmet food trucks or even a plain old bagel dropped by a toddler. Actually, he might love those morsels more than anything. Check out Percival in The Nancydraws Shop on Etsy! A portrait of a very handsome pigeon, if I do say so myself. Here is Percival celebrating Hanukkah with Veggie Lo Mein and a movie. 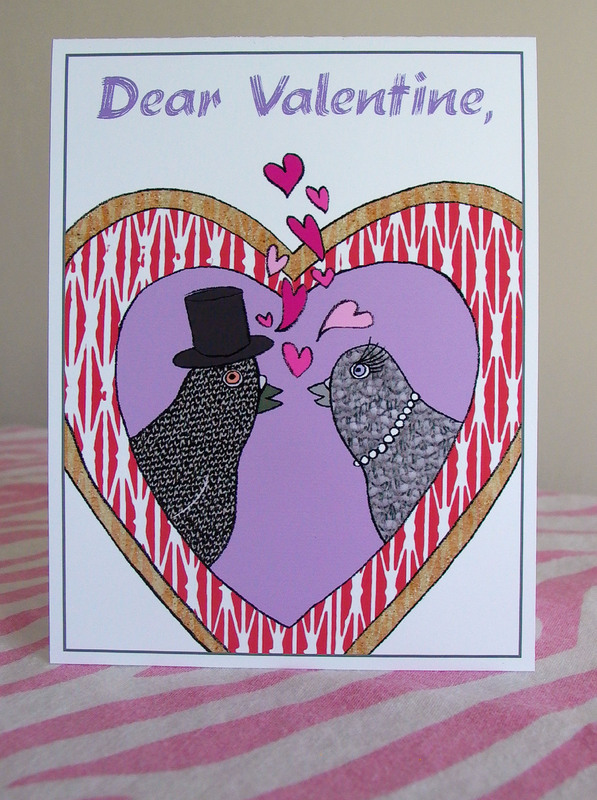 Pigeons in love! This is a Valentine’s card design for sale in The Nancydraws Shop, along with gay and lesbian versions. This is illustration that launched the pigeon obsession! I was trying to think of something to represent the creative ways that city dwellers decorate their small spaces for Christmas and came up with this. He was not named Percival back then, but everyone got a kick out of the pigeon being part of the decorations. I call it “Urban Christmas.” This illustration was also featured on The Osaka Review, a Tumblr blog in December 2013.